WiredContact Enterprise delivers powerful online and mobile cloud CRM capabilities to help your team manage sales activities to build lasting business relationships. Instantly find, track and share valuable customer and prospect information in real-time by using just your browser. 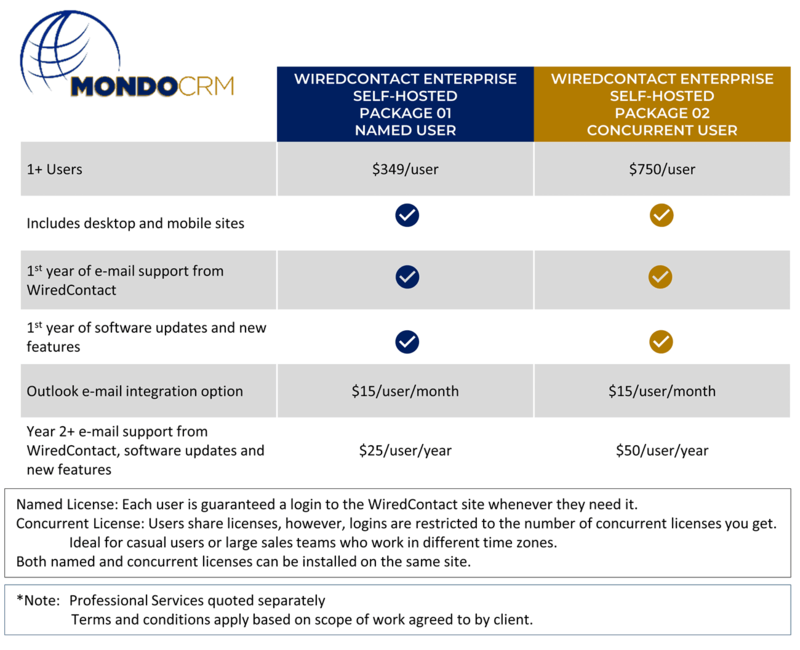 When our clients outgrow Act!, we migrate them to WiredContact for these features. The friendly web-based CRM software is easy-to-use, quick-to-implement and provides unparalleled customization, integration and flexibility options. With its clean interface, WiredContact Enterprise (informally known as WCE) delivers robust and practical capabilities with familiar web point-and-click navigation. Your team can be working in tandem from anywhere in no time at all! WCE’s built-in functionality helps you work the sales cycle, from lead to customer, with efficiency and ease. With features like one-click sales forecasts, web lead capture forms, targeted lookups, exploding views, pre-defined emails and automatic groups (just to name a few), you can work more productively and always keep a pulse on your business.